Michael Josselson, the son of a Jewish timber was born in Tartu, Estonia, in 1908. His family, who were strong opponents of the Bolsheviks, moved to Germany after the Russian Revolution. Josselson studied at the University of Berlin and after obtaining his degree he joined the Gimbels-Saks department stores as a buyer. He eventually became their representative in Paris. When Adolf Hitler gained power Josselson left Nazi Germany and in 1937 he immigrated to the United States with his new French wife, Colette, to work in New York City as the managing director for all of Gimbels' European offices. Josselson joined the United States Army during the Second World War and as he could speak four languages fluently without a hint of an accent, he was placed in the Intelligence Section of the Psychological Warfare Division. He was sent to Berlin where he joined a special seven-man interrogation team. The team's mission was to interrogate hundreds of German prisoners every week, for the purpose of "rapidly separating strong Nazis from non-Nazis." Stuart Hampshire, who was working for MI6 at the time, met Josselson during this period and later recalled: "His reputation had spread across Europe's intelligence grapevine. He was the big fixer, the man who could get anything done. Anything. If you wanted to get across the Russian border, which was virtually impossible, Josselson would fix it. If you needed a symphonic orchestra, Josselson would fix it." Josselson later recalled: "I felt no animosity to the Soviets. In fact I was apolitical at the time and this made it much easier for me to maintain excellent personal relationships with most of the Soviet officers I came to know." In 1946 Josselson joined the American Military Government as Cultural Affairs Officer. The following year he was recruited by the US High Commission as a Public Affairs Officer. In this capacity, he was assigned to the "screening of personnel" in the German Press, radio and entertainment media, all of which were suspended "pending the removal of Nazis". Josselson was recruited into the CIA by Lawrence de Neufville, who worked in the office of the American High Commissioner, John McCloy, in Berlin, in 1948. His code-name was "Jonathan F. Saba". He later recalled: "My tour of duty... was coming to an end in 1948. But a return to civilian life, which for me meant going back to the world of buying for U.S. department stores, a not particularly interesting career, filled me with despair. It was at the time that an American friend who worked in intelligence introduced me to one of the chiefs of the outfit in Germany. There followed two or three more interviews in Washington, the filling out of an endless questionnaire, and then a very long wait until the FBI in its clumsy fashion was trying to find out whether there was anything derogatory in my life history. In the fall of 1948 my clearance came through and I joined the 'outfit' as chief of its Berlin station for Covert Action (CA), as distinguished from the espionage or intelligence side (FI). Except for the 'covert' aspect, this was in reality a continuation of psychological warfare, only this time directed against the Soviets and the Communists in East Germany. It was a defensive move, since the Soviets had long ago started the psychological Cold War." After his divorce in 1949 he married his second wife, Diana Dodge Josselson. Josselson became chief of the CIA's Berlin station for Covert Action. In August 1949, Arthur Koestler, Melvin Lasky, Ruth Fischer and Franz Borkenau, met in Frankfurt to develop a plan where the CIA could be persuaded to fund a left-wing but anti-communist organisation. This plan was then passed onto Josselson. Finally it reached Josselson's boss, Lawrence de Neufville. He later recalled: "The idea came from Lasky, Josselson and Koestler and I got Washington to give it the support it needed. I reported it to Frank Lindsay, and I guess he must have taken it to Wisner. We had to beg for approval. The Marshall Plan was the slush fund used everywhere by CIA at that time, so there was never any shortage of funds. The only struggle was to get approval." The proposal reached Frank Wisner, the head of the Office of Policy Coordination (OPC), in January 1950. 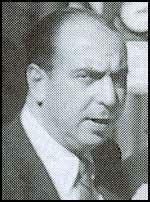 Wisner was in charge of "propaganda, economic warfare; preventive direct action, including sabotage, anti-sabotage, demolition and evacuation measures; subversion against hostile states, including assistance to underground resistance groups, and support of indigenous anti-Communist elements in threatened countries of the free world". Wisner accepted the proposal on 7th April and gave it an original budget of $50,000. Wisner put Josselson in charge but insisted that Melvin Lasky and James Burnham should be "kept out of sight" for the time as they were too well known for their anti-communism. Wisner said he "feared their presence would only provide ammunition to Communist critics". Thomas Braden, the head of the International Organizations Division (IOD), was placed in charge of the Congress for Cultural Freedom. The objective of the IOD was to control potential radicals and to steer them to the right. Braden oversaw the funding of groups such as the National Student Association, Communications Workers of America, the American Newspaper Guild, the United Auto Workers, National Council of Churches, the African-American Institute and the National Education Association. Braden later admitted that the CIA was putting around $900,000 a year into the Congress of Cultural Freedom. Some of this money was used to publish its journal, Encounter. Braden and the IOD also worked closely with anti-Communist leaders of the trade union movement such as George Meany of the American Federation of Labor. This money was used to fight Communism in its own ranks. As Braden said: "The CIA could do exactly as it pleased. It could buy armies. It could buy bombs. It was one of the first worldwide multinationals." Arthur Schlesinger has supported the role of the CIA during this period: "In my experience its leadership was politically enlightened and sophisticated." 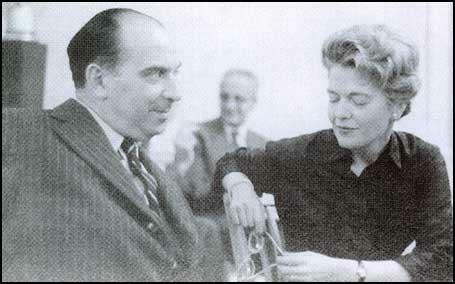 Frances Stonor Saunders, the author of Who Paid the Piper: The CIA and the Cultural Cold War? (1999) has argued: " During the height of the Cold War, the US government committed vast resources to a secret programme of cultural propaganda in western Europe. A central feature of this programme was to advance the claim that it did not exist. It was managed, in great secrecy, by America's espionage arm, the Central Intelligence Agency. The centrepiece of this covert campaign was the Congress for Cultural Freedom, run by CIA agent Michael Josselson... At its peak, the Congress for Cultural Freedom had offices in thirty-five countries, employed dozens of personnel, published over twenty prestige magazines, held art exhibitions, owned a news and features service, organized high-profile international conferences, and rewarded musicians and artists with prizes and public performances. Its mission was to nudge the intelligentsia of western Europe away from its lingering fascination with Marxism and Communism... Membership of this consortium included an assorted group of former radicals and leftist intellectuals whose faith in Marxism and Communism had been shattered by evidence of Stalinist totalitarianism." Technically, Josselson was subordinate to Lawrence de Neufville, but he rarely, if ever, tried to overrule him: "I saw Josselson every day, or if not, every week, and I would go to Washington with whatever he wanted to accomplish. If I agreed, which I usually did, I would try and help. I saw my job as trying to facilitate the development of Congress by listening to people like Josselson who knew better than I did. He did a wonderful job." Thomas Braden agreed: "Josselson is one of the world's unsung heroes. He did all this frenetic work with all the intellectuals of Europe, who didn't necessarily agree on much beyond their basic belief in freedom, and he was running around from meeting to meeting, from man to man, from group to group, and keeping them all together and all organized and all getting something done. He deserves a place in history." Arthur Schlesinger was another one who was impressed with the work Josselson did and described him as "an extraordinary man". In October, 1955, Josselson, aged forty-seven, suffered a major heart attack. Cord Meyer decided to send recent CIA recruit, John Clinton Hunt, to work as his assistant to "lighten the load". In order to provide cover for Hunt, he officially applied for the job. Interviewed by Josselson in February 1956, Hunt was formally appointed to the Congress Secretariat shortly afterwards. Josselson became disillusioned by the United States foreign policy in 1960s. He was especially critical of its involvement in the Vietnam War: "In the 1950s our motivation was buttressed by America's historic promises... in the second half of the 1960s our individual values and ideals had been eroded by our intervention in Vietnam and by other senseless U.S. policies." According to Frances Stonor Saunders Josselson now looked to move the Congress for Cultural Freedom "away from the habits of Cold War apartheid, and towards a dialogue with the East." The story of CIA funding of Non-Communist Left journalists and organizations was fully broken in the press by a small-left-wing journal, Rapparts. The editor, Warren Hinckle, met a man by the name of Michael Wood, in January 1967, at the New York's Algonquin Hotel. The meeting had been arranged by a public relations executive Marc Stone (the brother of I. F. Stone). Wood told Hinckle that the National Student Association (NSA) was receiving funding from the CIA. At first Hinkle thought he was being set-up. Why was the story not taken to the I.F. Stone Weekly? 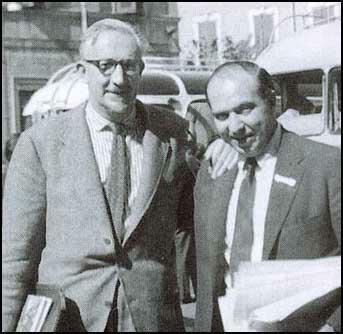 After the article was published Dwight Macdonald angrily asked Josselson: "Do you think I would have gone on the Encounter payroll in 1956-57 had I known there was secret U.S. Government money behind it? One would hesitate to work even for an openly government-financed magazine... I think I've been played for a sucker." Josselson was not impressed with this reaction. He claimed that they were all aware that it had been funded by the CIA. As he pointed out, MacDonald had asked him in 1964 if he could employ his son, Nick, for the summer. "This, at a time when anybody who was anybody had at least heard rumours connecting the Congress to the CIA." John Clinton Hunt, a CIA agent who worked very closely with Braden at the International Organizations Division, pointed out in a revealing interview: "Tom Braden was a company man... if he was really acting independently, would have had much to fear. My belief is that he was an instrument down the line somewhere of those who wanted to get rid of the NCL (Non-Communist Left). 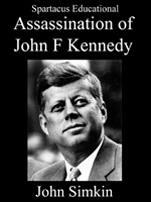 Don't look for a lone gunman - that's mad, just as it is with the Kennedy assassination... I do believe there was an operational decision to blow the Congress and the other programs out of the water." Josselson now resigned from the Congress for Cultural Freedom but continue to advise members of the new organisation, the International Association for Cultural Freedom, which disavowed the CCF and the CIA but continued many of the CCF's programs. Josselson found it difficult to obtain paid work. He approached his former employers, Gimbels-Saks, but they could not find anything for him. He was also rejected by Time Incorporated. In 1972 he was refused a Fellowship by the American Council of Learned Societies. The following year he was not given a Guggenheim Fellowship. He was also turned down by the Hoover Institution on War, Revolution and Peace. Michael Josselson died in Geneva, following heart surgery, on 7th January, 1978. 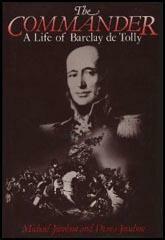 At the time of his death, his manuscript for The Commander: A Life of Barclay de Tolly was finished except for the bibliography and index. It was completed by his wife, Diana Josselson, and was published by Oxford University Press in 1980. My tour of duty... was coming to an end in 1948. But a return to civilian life, which for me meant going back to the world of buying for U.S. department stores, a not particularly interesting career, filled me with despair. It was at the time that an American friend who worked in intelligence introduced me to one of the chiefs of the outfit in Germany. There followed two or three more interviews in Washington, the filling out of an endless questionnaire, and then a very long wait until the FBI in its clumsy fashion was trying to find out whether there was anything derogatory in my life history. In the fall of 1948 my clearance came through and I joined the 'outfit' as chief of its Berlin station for Covert Action (CA), as distinguished from the espionage or intelligence side (FI). Except for the 'covert' aspect, this was in reality a continuation of psychological warfare, only this time directed against the Soviets and the Communists in East Germany. It was a defensive move, since the Soviets had long ago started the psychological Cold War. While the ADA-types and the Arthur Schlesinger model liberal kewpie dolls battled fascism by protecting their right flank with domestic Red-baiting and Cold War one-upmanship, the Ivy League delinquents who fled to the CIA – liberal lawyers, businessmen, academics, games-playing craftsmen – hatched a master plan of Germanic ambition that entailed nothing less than clandestine political control of the international operations of all important American professional and cultural organisations: journalists, educators, jurists, businessmen, et al. The standing CIA subsidy to the National Student Association was but one slice of a very complex pie.